Will Following Jesus Make You Liberal? Susie Meister has explained how studying religion made her a liberal, with the result that she left the right, stopped voting Republican, and started voting Democrat. I want to provide an accurate summary of her concerns and try to provide the kind of things I would say in response if I knew her: if I was a trusted friend, her brother, or her pastor. I suspect that many people resonate with Susie’s concerns, and I don’t want to be antagonistic in the way that I address them. Let’s be friendly, and let’s talk about the ideas and issues, isolating them and understanding the choices that we’re all making. As I listen to Susie, I hear four concerns that I would like to discuss with her. The first has to do with the way that Jesus lived, with his instruction to “judge not” in Matthew 7:1, and with “the Right” that Susie left behind. The second has to do with the shift she describes in her understanding of Scripture, the third with the relationship between the Bible and worldview, and the fourth with the influence of our families, our communities, and our teachers. Susie is right that Jesus was a friend of sinners–and praise God for it! We’re all sinners, and what a relief that “Christ Jesus came into the world to save sinners” (1 Tim 2:5). But what Susie doesn’t mention is that while Jesus engaged people where they were, he never left them there. Jesus told that woman he defended (it’s not clear the woman in John 8:1–11 was a prostitute) to go and sin no more (John 8:11). That very passage also addresses the “non-judgment” issue. The defense Jesus provided for that woman against those who would stone her relied upon him judging that what those accusing her were doing was not right and them being convinced by his righteous appeal to the truth. The words of Jesus in Matthew 7:1 cannot mean: never make any kind of moral judgment. If they did, Jesus could never have told that woman (or anyone else) to stop sinning. But Jesus tells everyone to stop sinning–that’s a lot of judging going on! Even the context of the statement in Matthew 7 shows that the words of Jesus can’t mean “never make any moral evaluations,” because Jesus immediately speaks of seeing specks (moral imperfections) in other people’s eyes. He doesn’t say “let’s all pretend those specks aren’t there,” but rather “get the log out of your own eye before you address he speck in your neighbor’s” (paraphrase of Matt 7:3–5). Jesus is telling people not to be overly judgmental and ungenerous and self-righteous. Everyone makes moral assessments and comes to conclusions that can only be regarded as judgments. Susie does so in her post–she concludes that the judgments made by the left, for instance, are superior to those of the right. I’m not a shill for the Republican Party, and this post is not for defending what they do. Jesus taught us to treat others the way we would want to be treated. Doesn’t this extend to the way we treat unborn children in the wombs of their mothers? Susie rightly mentions that Jesus was a champion of the weak–is anyone weaker than the defenseless child in its mother’s womb? If Jesus is their champion we should do what we can to protect them too, right? Jesus taught that God the creator made man male and female and said that the two should become one flesh (Matt 19:4–5). If we agree with Jesus, won’t we believe that the only appropriate way for humans to engage in sexual activity is within the context of a covenant of marriage between one man and one woman, right? Would Susie agree that the Bible treats all sexual activity outside of marriage as sinful? Would she agree that the weak are the ones who are most often exploited and victimized by extra-marital sexual activity? The commands not to steal and not to covet make some assumptions, right? Don’t they assume that people are going to own things? (true socialism abolishes private property and everything is owned by the state). And don’t these commands also assume that other people are going to have some things we would like to have ourselves? (that is, isn’t the Bible forbidding certain responses to income inequality?). Is it possible for the government to make things better? Are people who want the government to fix the world’s problems putting government in the place of God? Susie talks about reading Scripture through “unfiltered eyes,” but none of us is really capable of this. We all have some kind of filter. I wonder if perhaps Susie has replaced a Sunday School filter with what she learned at the University of Pittsburgh? The real question is this: are we going to believe everything the Bible teaches? If we believe everything the Bible teaches, we won’t be captive to either the right or the left, the Democrat or Republican Party. We will have concerns that overlap with some on both the left and right, and then we will have to rank those concerns in order of importance. The life of the unborn, the definition of marriage, and the free exercise of religion–the right to live out our faith–are the weightiest concerns facing our civilization. At present those concerns are shared by the Republican Party and not the Democrat Party. I wish the Democrat Party would share those concerns. It would make life better for everyone. Susie speaks of having her “worldview fall apart like a house of cards,” and I suspect this was a direct result of the “shift in [her] understanding if Scripture.” God gave us the Bible as a worldview building book. If Susie became convinced that the Bible was not totally true and trustworthy, or if the “scholarly investigation” she learned about left the Bible in rubbles, then it would only be natural for her worldview to fall apart. Every one of those challenges to the unity of the Bible can be answered. And I suspect that if Susie’s confidence in the Bible were to be restored, she would see that the house of cards was not the Biblical worldview she abandoned but the new one she replaced it with. There is more to Susie’s story than she related in her short post. But from that post it appears that at one time her church community held primary influence in her life and thinking, and then that primary influence shifted to a new community whose values she now shares. She wrote, “surely a faith as strong as mine could stand up to academic scrutiny.” The issue is not whether her faith could stand the scrutiny but whether the truth claims she believed would be defended and maintained. The reason Susie’s church family warned her about the liberal influence of the academy is that the liberals in the academy defend their own conclusions not the ones Susie formerly believed. The history of ideas demonstrates that people will believe bad things if good things are not explained, defended, illustrated, and applied. The problem was not a lack of faith on Susie’s part but the lack of diversity in secular universities. I suspect there is not a single evangelical who holds to the inerrancy of the Scriptures at the University of Pittsburgh. No one should be surprised when a school’s graduates believe what its faculty advocates. So Susie, I hope and pray that you will reconsider the Bible. If those who defend it convince you that it stands, and it does, you might find yourself in a better place than on the left or the right. That is, you might find yourself in the arms of the Jesus of the Bible, at home in the true church. If you’re ever in Louisville, I hope you’ll come visit us at Kenwood. a killable savior have indestructible life (Heb 7:15, 24; Rom 6:9–10). He claims to bring in the promised kingdom of God (3:3, 5). He claims to bring the cleansing and renovation of attitude prophesied in Ezekiel 36:24–26 through the new birth (3:5–6). He claims that this renewal partakes of the resurrection blowing of the Spirit prophesied in Ezekiel 37:1–14 (3:8). He claims to be the ascending and descending son of the one who is in heaven from Proverbs 30:4 (3:13). He claims to be the Daniel 7:13–14 son of man (3:13–14). He claims to be the servant who acts wisely who will be exalted from Isaiah 52:13 (3:14). He claims to be the typological fulfillment of the bronze serpent from Numbers 21:4–9 (3:14). Jesus is the key to understanding the Old Testament. Jesus matches and exceeds what was typified. Jesus is the culmination of the centuries and the telos of the ages. Commit your soul to him and make him your destiny, your purpose, your life’s agenda and meaning. There is nothing better than what Jesus has done. There is nothing better than what Jesus makes possible. There is nothing more powerful that could happen to us than this new birth he brings. Cleansing from sin with its pure water. Soul-renewing change at the very spirit of who you are. Holy Spirit divine power to bring to pass this purifying renewal. No lack of ability in the Spirit. No impure motive or purpose at work in what he does. No possibility of him failing. Behold the glory of Jesus. Trust him. Be born again. Forgiveness for all your sin. Cleansing from all its stain. Freedom from all its power. Qualified to see and enter the kingdom. Enabled to live not just in the flesh but in the sphere of the Spirit. Illumined to understand the Scriptures. Won’t you cling to these words until the Day? –From the conclusion of “You Must Be Born Again” on John 3:1–15, preached at Kenwood Baptist Church on September 29, 2013. For more on what John presents Jesus saying about the new birth, have a listen, or check out the discussion of the passage in God’s Indwelling Presence. The one who gave life, entered into life. The one who spoke the curse of death took the curse of death. The one who defines good and evil, who is nothing but good, took evil on himself. The undying for the dead. So the sons of men could become sons of God. The one who made everything was unmade so that we might be remade. The Creator entered the creation to be killed by creatures so he could roll back death and bring about the new creation. Sin could not stain him. Hell will not stand against him. You will not outrun him. God has answered Satan’s shout of triumph with the baby’s cry. but beheld by those who are naught in the eyes of the world. The word became flesh, and tabernacled among us. We have seen his glory, glory as of the only begotten from the Father, full of grace and truth (John 1:14). The baby in the manger is the lynchpin of the fulfillment of God’s promises. The whole Bible hangs on that baby born of Mary. God’s faithfulness depends on that boy’s life. God’s faithfulness is shown in that man’s death. God’s faithfulness is sealed in his resurrection. Jesus is everything to us. The infinite, unlimited one, became finite and took the limitations of a baby. The immortal, undying one, became mortal and took a body that could die. The omnipresent, everywhere one, located himself in one spot. The invisible, unseen one, became visible and his glory was beheld. The all wise, all knowing one, learned obedience and laid aside omniscience. On Sundays November 20 and 27, it was my privilege to preach Jeremiah 8:4–9:26. There is a stunning correspondence here with the way that Jesus encounters the fig tree that has borne no fruit, weeps over Jerusalem, and then is broken for the brokenness of his people. It’s not that Jeremiah is overtly predicting what Jesus would do, it’s more that the pattern that Jesus would fulfill is woven into the fabric of Jeremiah’s prophecy. I’m inclined to think, too, that Jesus probably had these parts of Jeremiah in mind as he approached Jerusalem, saw that fig tree, wept over the city, and went to the cross. I am so grateful for the ministry of Tommy Dahn, and I express my gratitude to and for him in the sermon at Providence. Since he wasn’t there when I preached the same text at Kenwood, I opened the sermon with an illustration about my weedeater. As I indicated in a previous post, it seems that Jeremiah 1:18–19 and Jeremiah 6:27–30 are bracketing Jeremiah 2–6 as a unit in which there is a progression from Israel’s sin to Israel’s rejection for their refusal to repent. This would place Jeremiah 7 at a strategic juncture introducing the next section of the book of Jeremiah. The first two statements of judgment (Jer 7:12–15 and 7:19–20) speak directly of the destruction of the temple. The third description of judgment uses the imagery of the visitation of wrath enacted by Josiah in 2 Kings 23 to describe a future visitation of wrath. From the context, this visitation of wrath also pertains to the coming destruction of the temple, but imagery is used in Jeremiah 7:33 that will be used by John to describe the judgment Jesus will bring at his return in Revelation 19:17–19. So a past visitation of wrath, what Josiah visited in 2 Kings 23, is being used to point forward to the future visitation of God’s wrath that Jeremiah is describing, which in part is the destruction of the temple that will happen in 586 BC. I say “in part” because another destruction of the temple will fulfill what Jeremiah is describing, the one Jesus spoke of in John 2:19–22, and both of these point also to the visitation of wrath Jesus will bring when he returns in Revelation 19. Jeremiah is preaching in the temple (Jer 7:2), he indicts Israel for making the temple a den of robbers (7:11), and then he warns of the destruction of the temple (7:14). Jesus quotes Jeremiah’s “den of robbers” line when he cleanses the temple (e.g., Mark 11:17) because the wicked in Jesus’ day are like the wicked of Jeremiah’s day and because the judgment visited on the temple in 586 is a type of the judgment to be visited when Jesus, the replacement of the temple (John 2:19–22), dies on the cross. The judgment Josiah enacted in 2 Kings 23 is used by Jeremiah when Jeremiah describes the “type” of thing God will do when he enacts judgment and destroys the temple. The judgment of God that will fall on the temple is also a type of the judgment of God that will be fulfilled when Christ dies on the cross, and Jesus will fulfill the pattern of Josiah when he visits judgment on the cosmic temple at his return. In keeping with all this, the word “generation” does not refer to a group of people alive at a specific point in time but to “the sons of disobedience” (Eph 2:3), the “crooked and depraved generation” (Phil 2:15), the “scoffers” (2 Pet 3:3) of all generations who gather together against the LORD and his anointed. On Sunday, November 6, 2011, it was my privilege to preach Jeremiah 7: The Temple Sermon – Indictment of Unrepentant Israel at Kenwood Baptist Church. 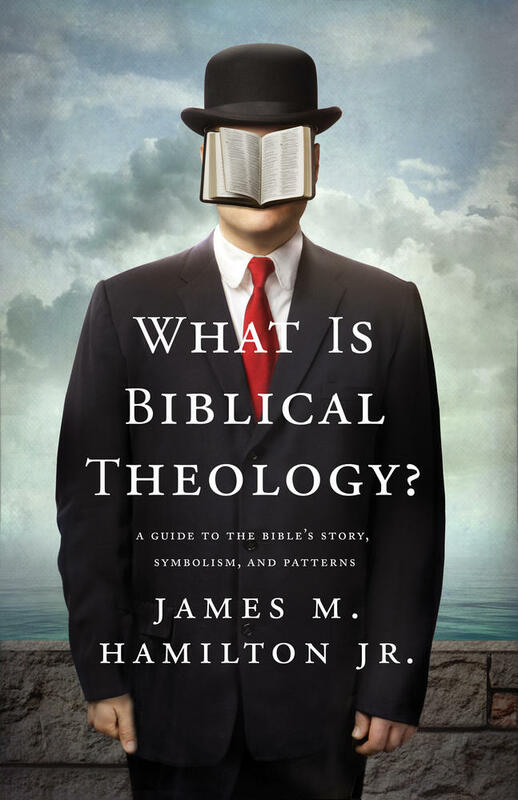 Three sermons on biblical theology, Lord willing, then into Jeremiah. A real rescue beats an imaginary rescue every day of the week, because it involves actual risk. . . . It’s one thing to pretend that we’re drowning or being chased by bad guys; it’s entirely different to actually be lost at sea or dodging bullets. Real-life rescues always have the most at stake (142–43). Makes an exceptionally bland story. There is no drama. No deep conflict requiring resolution. No compelling need for a satisfying denouement. Where is the insurmountable problem that must be overcome? Where’s the cliff we might fall off? Where’s the foreshadowed death that can be avoided only by intervention from the outside? Nothing is ever really at stake in Bell’s tale of limitless happy endings. It has even less suspense than a child’s bedtime story. . . . I appreciate that the looming threat of hell can make us uncomfortable, but if we eliminate this from the Scriptures we deflate the true and even more astonishing biblical story. A world without the real possibility of hell, of eternal death, would increasingly resemble the contrived world of the film The Truman Show, comically and tragically unrealistic. If the cross teaches us anything, it’s that this is a wild, dangerous world. If the Son of God can be crucified, then anything is possible here. A world which killed Jesus may well have a large number of murderers headed for hell. The stakes are that hight (145­–46). We need to see that we have the real story. We need to feel what G. K. Chesterton writes when he says, “In a thrilling novel (that purely Christian product) the hero is not eaten by cannibals; but it is essential to the existence of the thrill that he might be eaten by cannibals” (Orthodoxy, 206). When the world was at stake the Father gave the Son that the world might be redeemed. Chesterton again, “Alone of all creeds, Christianity has added courage to the virtues of the Creator. For the only courage worth calling courage must necessarily mean that the soul passes a breaking point—and does not break” (Orthodoxy, 209). Chesterton says that Christianity’s “main advantage is that it is the most adventurous and manly of all theologies” (Orthodoxy, 201). If I said to you that God can relate to you when you feel abandoned, falsely accused, misunderstood, attacked, and denied, would you tell me that God is God and it is impossible for him to relate to these feelings precisely because he has all power, all knowledge, and all authority? Is there any way you can imagine God being able to experience the loneliness, the hurt, the vulnerability, and the disappointment of being treated in these ways? How can we relate to God, omnipotent and unassailable, perfect and invincible? Is it possible for God to know what we feel when we are lonely, vulnerable, wrongly-accused, and betrayed? Yes, God is all knowing and all powerful, but can he know what we feel? Can God relate to us? Jesus can relate to us. Jesus can relate to us in our loneliness, our abandonment, our sense that we are condemned for believing and speaking the truth, and our experience of being betrayed by those who ought to be loyal to us. Mark 14:53–72 is full of impossibilities. We should not become so familiar with it that we cease to feel its shock value: How could it be possible that Israel would reject its Messiah? How could it be possible that the High Priest of Israel, who himself symbolizes the true mediator between God and man, would accuse the one he represents of blasphemy? How could justice be perverted to the point of Jesus being condemned to death? How could Peter, the boldest of the disciples, deny Jesus? How could these things possibly happen? The Jewish leadership means to kill Jesus. They mean to kill the best man who has ever lived, the only man ever to live without sin, the incarnation of the everlasting God, the healer of the sick, feeder of the hungry, giver of life, epitome of love, teller of truth, hope of the world, King of kings, Lord of all. Their response to him is to want him dead. Mark has done such a good job of telling the story that we understand why they want to kill him. They do not believe that he is the Messiah. He has not met their expectations. They love themselves. When the High Priest asks Jesus if he is the Messiah, Jesus turns the tables in his reply: as Jesus answers, he shows that he is the one in charge. The reality is not what it seems. He is not the one on trial. Though the High Priest and those accusing Jesus think they have him on trial, in reality they are on trial. In reality their choices and actions will determine their destiny when they come before the world’s righteous Judge. Jesus makes three offensive statements. Here he asserts that he is Lord, that he is the descendant of David, that he is the Son of Man who will receive everlasting dominion. After Jesus is falsely accused and blasphemed, Peter denies him. Have you been in a position where you wanted to do the right thing, and you simply broke? You hoped to have backbone, you hoped to have courage screwed to the sticking place, you meant to be the hero, and you quailed, played the part of the coward, and found yourself denying what was most precious to you? The evil is so large, so black, so powerful that only Jesus can stand before it. It crushed him and killed him, but he did not quail. Because he did not flinch in the face of evil, the last defense against evil held. Jesus broke its back. Jesus overcame evil. If you do not side with Jesus, when he comes on the clouds of heaven, he will condemn you in an awesome display of almighty justice. Your condemnation will be right, and God will be as faithful to you then as he is being faithful to you now. If you say to me: how can he receive me. I’m such a failure. Look at what Peter does here. Peter knows that he has betrayed the one who is trustworthy. Peter knows that he has denied the one worthy of his allegiance. Peter knows that Jesus stood alone and that he abandoned him. And Peter feels the crushing weight of his sin, and weeps. Let me invite you to consider how good God has been to you, how magnificent God’s creation is, how privileged you are to be a human being made in the image of God. And in light of the gifts God has given to you, let me invite you to consider how ungrateful you have been, how presumptuous, how proud, how perverse, how complaining, how defiled and profane. Weep over it. It’s ugly. But oh, sweet the sound of the Savior’s love! On Sunday, July 24, it was my privilege to preach Mark 14:53–72, “Accused, Blasphemed, Denied” at Kenwood Baptist Church. On the night in which he was betrayed, Judas sold Jesus for money. When they arrived to arrest Jesus, Peter tried to help in a way contrary to Jesus’ teaching (taking up the sword, when Jesus has been teaching he would go to Jerusalem to die). When he was arrested, all the disciples fled. These failures are similar to the failures of the three brothers Karamazov. Fyodor Dostoevsky’s novel The Brothers Karamazov (free on kindle) centers on the sons of Fyodor Pavlovich Karamazov. His oldest son, Dmitri, is passionate and reckless. He lives a debauched life like his father, but unlike his father he genuinely regrets the hurt he causes others. The middle son, Ivan, is a cold, rational skeptic. He is ultimately so troubled by the suffering of children that he cannot believe in God. The youngest son, Alyosha, is almost completely pure. He has genuine doubts and faces real temptation, but he loves people and has a mature faith in God. We know Alyosha is good because he knows himself to be a sinner. For all of Alyosha’s goodness, he can do nothing about his father’s wickedness. The father is so wicked that it is no surprise when he is murdered. The only question is who did it. Alyosha does not know who committed the murder. He seems powerless to help his brother Dmitri overcome his urges and indulgence, and he cannot win Ivan to faith. Alyosha stands like a point of light on the dark backdrop of his wicked father and the impulsive Dmitri and the unbelieving Ivan. Alyosha, however, faces situations where he knows he has failed, situations where he cannot make things better. Dmitri’s troubles arise from the fact that he loves the world. The temptation that faced Judas was of the sort that offered him acceptance in place of rejection, wealth instead of poverty, influence in place of obscurity. Ivan’s troubles relate to a panic that drives him insane. The failure of the disciples when they flee Jesus seems to come down to panic, self-preservation, and disregard for what—who—matters more than their lives. They are like sheep fleeing when the shepherd has been struck, just as Jesus said they would be in Mark 14:27. Alyosha’s troubles mainly arise from his not always knowing the best course of action in a particular situation. Peter’s failure with the sword arose from a lack of understanding and an inability to see the right thing to do, so he acted instinctively and wrongly. On the night he was betrayed, Jesus alone stands against overwhelming evil. Jesus is our only hope against it. Mark 14:26–52 is in the Bible to teach us our absolute need for Jesus. Jesus alone knows God’s will. Jesus alone resists temptation to stand courageous. Jesus alone can save. The Brothers Karamazov ends in slight moral ambiguity. I won’t tell you who is convicted of the murder of the father, Fyodor Pavlovich, but the wrong man is condemned. That man then flees Russia to America to escape the miscarriage of justice. So technically he is a fugitive, but he didn’t commit the crime (and he does repent of his many sins). There will be no injustice and no moral ambiguity at the end of the story in which Jesus is the main character. On Sunday, July 3, it was my privilege to preach Mark 14:26–52, “Jesus Stands Alone,” at Kenwood Baptist Church. This sermon has also been added to the page where my other sermons on Revelation are gathered. I would invite you to consider the glories of the wedding feast of the Lamb, a love story better than that between Natasha and Prince Andrei in Tolstoy’s War and Peace. 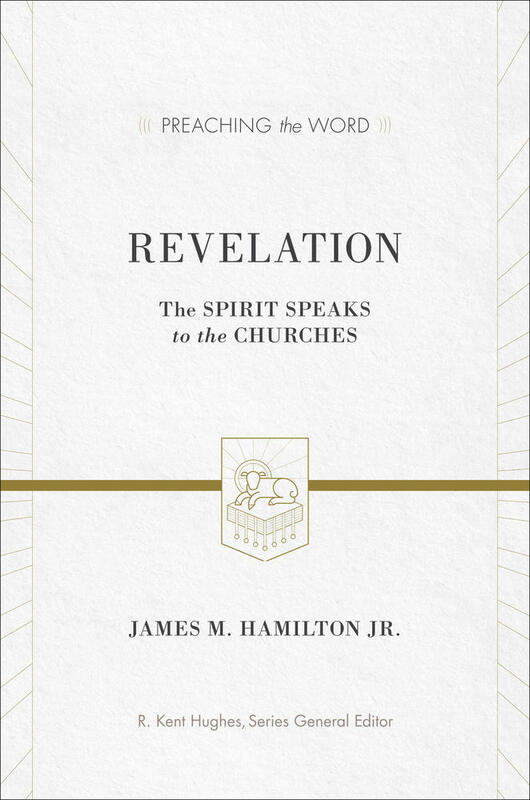 You can hear it in the mp3 linked above or read it in my forthcoming Preaching the Word volume on Revelation: The Spirit Speaks to the Churches. In Alexandre Dumas’s novel, The Count of Monte Cristo, Edmund Dantes is about to marry his beautiful beloved Mercedes. On the night before he is to be married, Dantes is falsely accused by one man who wants his woman, and another who wants his job. It so happens that the judge is implicated in the circumstances, in response to which he sentences Dantes to life in prison without trial. While imprisoned for 14 years, Dantes is befriended and instructed by Abbe Faria. Faria also tells Dantes of a treasure hidden on the isle of Monte Cristo. Faria dies, and Dantes becomes the only prisoner ever to escape from the prison of Château d’If. Dantes goes to the island of Monte Cristo, finds the treasure, and plots vengeance, astonishingly elaborate in its detail and poetic justice. The justice that Dantes accomplishes is so perfect and so complete and so elaborate that if we do not willingly suspend our disbelief, if we back away from the fictional dream, we begin to question whether this is credible. Could a man pull this off? An innocent man, falsely accused, taken from his betrothed the night before their wedding, and unjustly imprisoned for 14 long years. The world needs justice. Who can give perfect justice? The world needs redemption. Who can give perfect redemption? Can we have justice and redemption? In Mark 14:1–25, we see Jesus bring to fulfillment an astonishingly elaborate plot that upholds justice and accomplishes redemption. 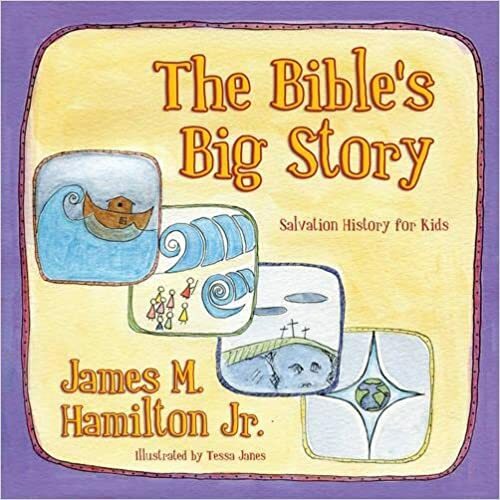 On Sunday, June 26, 2011, it was my privilege to preach this text at Kenwood Baptist Church. The Count of Monte Cristo, Edmund Dantes, achieved a limited, human justice. He ruined the lives of those who ruined his life. He even forgave one mortal enemy who repented of his sin and plead for forgiveness. Dantes could not, however, win back Mercedes. While he was imprisoned, she married another, one of those who falsely accused Dantes. Dantes takes vengeance on the man, but he cannot redeem his lost bride. Jesus is a better avenger and a better redeemer than Edmund Dantes. No real man could take the vengeance Dantes accomplishes. Only a fictional hero could pull it off. Jesus achieves a perfect justice, and Jesus doesn’t lose his bride. Jesus will redeem all those who belong to him. Jesus will never fail you. Paul: Missionary of Jesus. After Jesus, vol. 2. By Paul Barnett. Grand Rapids: Eerdmans, 2008, xvi + 240 pp. $18.00 paper. Published in The Southern Baptist Journal of Theology 15.1 (2011), 112–13. In this book Paul Barnett asks whether the mission and message of Paul the Apostle was the mission and message of Jesus of Nazareth. Having introduced the question, Barnett devotes a chapter that surveys both those who have driven a wedge between Jesus and Paul and the information about Jesus in Paul’s letters. He then takes the reader on a chronological flyover of Paul’s life, concluding that “He was from an aristocratic Diaspora family and a Roman citizen by birth, yet conservatively Jewish in nurture (in Tarsus) and education (in Jerusalem); he was an eminent younger Pharisee, yet bilingual and an accomplished scholar of the Greek Bible” (44). Barnett then asks why Paul persecuted the church, when his teacher, Gamaliel, advised against it (Acts 5:33–39). Barnett argues that the combination of the conversion of numerous priests and Stephen’s preaching that touched on the role of the temple and the law (Acts 6:7–13) catalyzed Paul’s violent opposition, forcing him into action in spite of Gamaliel’s earlier advice (48–49). The significance of the Damascus event in Paul’s life and thought is examined next, with Barnett arguing that “the core elements of Paul’s doctrines that he was to preach were formed in Damascus” and that what happened there “represented a complete relational and moral turnabout that was accompanied by a radical new vocation” (75). Barnett then takes a close look at what can be known about the so-called unknown years, from the time of Paul’s conversion at Damascus (Acts 9) to his first westward mission starting from Antioch (Acts 13). He notes that the details from Acts and from Paul’s narration in Galatians agree in the sequence of locations (77). In chapter 7 Barnett asks what he considers “the most critical question of all”: “Was Paul’s mission to the Gentiles according to the mind of Jesus and an authentic extension to his own ministry in Israel?” (99). He shows that a two-stage “Israel first, then the nations” trajectory can be seen in Mark and Matthew’s portrayals of Jesus. This matches Paul’s to the Jew first and also the Gentile mentality. Further, Paul regarded himself as seized by Christ, and leading apostles confirmed Paul’s call to preach to the Gentiles (114–15). Interacting with Donaldson and Sanders, Barnett discusses the way that “Paul appears to have regarded himself and his life’s work in fulfillment of a number of OT texts” (118). Barnett’s final chapters deal with Paul’s mission and what he calls the countermission. He writes, “Paul’s mission immediately provoked the rise of a Jerusalem-based countermission in churches that insisted Gentile believers be circumcised. This countermission was active throughout the decade of Paul’s mission in the provinces, and it was the major problem Paul faced during those years” (135). Barnett holds that most of Paul’s letters come in the decade of AD 47–57. Though there is no mention in Acts of Paul being imprisoned in Ephesus, Barnett posits an Ephesian imprisonment and claims that Philemon, Colossians, and Ephesians were written while Paul was imprisoned in Ephesus it in AD 55 (136­–37, 215–17). Barnett suggests that apocalyptic ferment, the hardening of Israel, and the political stability under Claudius opened the door for Paul to move beyond the God-fearing Gentiles in synagogues to the intentional evangelization of Gentile idolaters. Barnett sees this as a paradigm shift that provoked a Jewish countermission (137–42). The only evidence he has for this is Paul’s letters, and in my judgment he over-reads that evidence at several points. For instance, somehow he knows that as Paul was laboring on the collection of funds for the poor in Judea, the difficulties culminated “in the revelation in Corinth of a Jewish conspiracy for a shipboard interception of the money” (154). Perhaps Barnett is drawing an inference from Acts 20:3, but he gives no scripture references and cites no other evidence for this event. He also over-reads the evidence when he makes a bizarre suggestion about why Paul wanted to collect money for the famine-struck poor in Judea in the first place: “Implied, perhaps, is the underlying motive that the Gentiles sent such gifts to secure a place in the covenant in lieu of circumcision” (155). So now a financial gift in time of need is something like a bribe? Calling this grace-based does nothing to ameliorate this problematic suggestion. Barnett continues his foray into fiction when he writes of how this bribe was received, “So far as we can tell, the collection was not successful in fulfilling Paul’s hopes. His cool reception from the elders of the Jerusalem church suggests that, initially at least, his hopes for strengthening the fellowship between Jews and Gentiles with consequent recognition of the Gentile churches were not realized . . . . In short, they are unimpressed with Paul’s Gentile companions and their money!” (155–56). I think this is a total misreading of the texts that rehearse this situation, and I doubt very much that Paul would have countenanced the suggestion that he was using a financial contribution to smooth the way for his law-free gospel. Barnett writes, “the collection . . . was to secure unity within the new covenant people of the Messiah” (158), but Paul sees the gospel, not monetary gifts, as securing that unity (cf. Rom 14–15; Eph 2:11–22). There is more over-reading of the evidence in Barnett’s discussion of the relationships between Apollos and Paul and Peter and Paul as reflected by the Corinthian correspondence (166–70), culminating in this totally unwarranted statement: “We infer that Cephas prompted questions about Paul’s apostleship but that Paul did not reciprocate regarding Cephas” (170). This is little more than slander directed at Peter! The book concludes with a chapter arguing that Romans was Paul’s comprehensive answer to the Jewish countermission, a final summary of “Paul’s Achievement” (198), and appendices on Paul’s name, Acts and Paul’s letters, how Paul made decisions, the provenance of Philemon, Colossians, and Ephesians, and Paul’s names for Jesus. I have noted several things with which I strongly disagree, and those concerns registered, the historical perspective makes this is a stimulating book. Barnett rightly argues for the historical reliability of Acts and for a harmonious reading of Luke’s narrative and Paul’s letters. In view of the way he sometimes slides into the writing of historical fiction, readers will want to test Barnett’s claims against the actual evidence, holding on to what is good. Mark 13 is not in the Bible to provoke debates about when all things will be consummated – what Jesus meant by “this generation.” Mark 13 is in the Bible to prepare disciples of Jesus against deception, fear, sleepy inattention, persecution, and uncertainty. In Mark 11 Jesus entered Jerusalem on a colt to cries of Hosanna. He then cursed the fig tree and cleansed the temple. In Mark 12 he gave a narrative interpretation of Israel’s history in the parable of the wicked tenants, which culminated in the murder of the son of the owner of the vineyard. He escaped the traps set by Pharisees and Sadducees, answered an honest question about the greatest commandment, and then taught on the Christ, hypocrites, and sacrificial giving. In Mark 13 Jesus teaches his disciples about the end of the world. Jesus warns his disciples not to be deceived by those who will come claiming to be him (Mark 13:5–6). All false religions and all mythological accountings for the world—from materialistic evolutionary darwinistic atheism to moralistic therapeutic deism—all of them—from the ancient Near Eastern fertility cults to the Greco Roman Pantheon, all forms of animism, Hinduism, Buddhism, and Islam—all are Satanic imitations of Christianity. All offer some other path to some other heaven under some other god. Do not be deceived by gurus offering some snake-oil remedy for your problems. Do not deceived by politicians promising Utopia. Jesus will bring in the Kingdom. He’s the only one who can. Hold out for him. He tells his disciples that they will be persecuted in Mark 13:9. Jesus spoke these things to those who follow him so that they would be able to tell the difference between the real gospel and satanic false promises made by those who want to “change the world” into a Utopia where Jesus is not Lord—a dream world where the good news is not that Jesus died and rose to bring us to God, but that people are now healthy because the messiahs have fixed the health care system, differences reconciled because the thought police enforce correct speech; peace in our time, world hunger ended, and third world debt relief accomplished: kingdom come without Jesus. To all these false hopes Jesus says: don’t be deceived. These people are going to go on starting wars with each other; don’t be surprised when that happens (Mark 13:7). Further, the fact that you don’t worship the false messiahs is going to prompt them to persecute you. Be prepared for that (Mark 13:9). Mark then presents what Jesus says about the rise of the antichrist and his own coming (Mark 13:14–27). What does the coming of Jesus mean? Here is the consummation of all pomp and circumstance. Here the realization of everything anticipated by armies marching in formation on the parade ground. Here the true arrival. Here the moment when all will rise to honor the one who comes, when the one to whom every knee will bow will make his entrance. Every attempt at greatness eclipsed. Every notion of the meaning of the words conqueror, hero, deliverer, savior, messiah, king, lord enacted—all these words will then be understood. Have you heard the word “doomsday”? Have you heard that the generals and the kings and the slaves and the captains will call for the mountains and rocks to fall on them to hide them from the wrath of the Lamb? Have you heard that there’s a glory to which our sufferings are not worth being compared? Consider what we will feel on that day: we will wish we had loved more, given more, studied the Bible more closely, spoken more earnestly to those who will face the wrath. We will wish that we had thought of the glory of Christ when we were tempted. We will regret the cheap baubles that we took to please ourselves as we betrayed him. We will rue the harsh words we spoke, the days we gave up, quit, stopped hoping, believing, watching. O lift up your eyes, church, your redemption draws nigh. O bride pledged to thine husband, he will come. With power and great glory he comes. He will gather all his own. Mark 13:28–37 shows Jesus applying these things to his disciples lives, telling them how they should live. Jesus says everything he has described will take place before “this generation” passes away. What does that mean? Some take “this generation” to refer to the historical generation of people alive at the time of Jesus, and those who take this view are forced to one of two conclusions. One conclusion is that Jesus was wrong. He didn’t return during the lifetime of that generation. The other conclusion is to see the fulfillment of what Jesus describes in AD 70. I think there’s a better solution. I think “this generation” should not be taken to refer to the historical generation alive at the time of Jesus. Rather, “this generation” refers to the generation of the end. Both the generation of the flood (Gen 7:1) and the generation of the wilderness (Num 32:13) are types of the end time generation on which God’s wrath will fall. And the biblical authors can also speak of “the generation of those who seek your face, O God of Jacob” (Ps 24:6). So there is an evil end time generation that will face judgment, and there is a righteous generation that seeks God’s face. I take this statement of Jesus, then, to be typological. It does not deal with the next 20–40 years of a historical generation. On Sunday, June 12, it was my privilege to preach Mark 13, “Be on Guard,” at Kenwood Baptist Church. The whole block lost power near the end of my sermon, so the recording ends in the middle of my comments on “this generation.” Basically what I’m arguing is that Jesus is talking about the “end time generation” the same way that there’s a flood generation and a wilderness generation. There is a typological relationship between these earlier generations on which judgment fell, and the generation that will experience the typological fulfillment of those earlier judgments. Jesus means that the generation from which Peter urges people to be saved (Acts 2:40), “on whom the ends of the ages has come” (1 Cor 10:11), the “crooked and twisted generation” in which his followers will “shine as lights in the world” (Phil 2:15) is the one that will not pass away before all that he has prophesied comes to pass. I learned this view from the excellent book by Evald Loevestam, Jesus and ‘this Generation’: A New Testament Study. On Sunday, May 15, it was my privilege to preach Mark 11, “No Fruit on the Fig Tree or in the Temple,” at Kenwood Baptist Church. Jesus is remarkably humble in this so-called triumphal entry. He enters the temple, which essentially belongs to him, and he finds no fruit there. That is, the temple custodians do not receive him as they should. He curses a barren fig tree, which is a symbolic denunciation of the barren temple. Then he assures his disciples that the temple mount will be removed, that his kingdom will come, and that they now have authority to administer blessings formerly had through the ministry of the temple. When the custodians of the temple demand to know what gives him the right to say such things, he hints that his authority is from heaven while exposing that they will not believe him if he answers their question. Jesus is the true king of Israel and his humility is as stunning as his exercise of authority is absolute. As exciting as this passage is for those who are rooting for Jesus, look at how humble it shows Jesus to be. He’s the Messiah, the King of kings, the scion of David, the author and perfecter of faith, the champion of life, and he’s been walking around with his disciples and doesn’t even have his own mount. No technology. No transportation. This is mere humanity—he has for his mode of transportation his own two feet; he has for his ability to spread his message his own voice; he has for the promotion and circulation of what he says and done word of mouth. Jesus isn’t getting anywhere if he doesn’t walk, and his message isn’t spreading unless other people talk about it. I have to think that this was a deliberate strategy. Part of God’s plan for Christ to come in the fullness of time, it seems, was that he would come at what we now see to be a humble time in terms of transportation and communication. No internet, to say nothing of publishing houses or even newspapers. This means that as he has gathered his following and done his work, Jesus is the definition of authenticity. There are no smoke and mirrors tricks. There is no falsely generated sense of enthusiasm or excitement. There is no editor deciding to put Jesus on the front page, or to lead the nightly news with his story. Jesus is the real thing. Everything that Jesus accomplished that leads up to this moment of triumphal entry, from healings to teachings to a reputation to a following, all of it was accomplished by his own voice and his own two hands on his own two feet. No tricks, no gimmicks, no fanned flame of publicity. And, I would observe, no scandals, no gaffes, no slurs, no missteps. Worship Jesus. He does what no one else can. He walks firmly where everyone else trips. He is worthy of your trust, your thanks, your praise. It’s as though Jesus chose a time when no “promotional advantages” would be available. Then he chose to be born in an out of the way place, in a minor country, to a disenfranchised heir to a de-throned royal line. And when he enters the capital city in triumph, he comes not on a war-horse but on a borrowed donkey. He has no army to accompany him only a crowd of disciples who don’t really understand him, gathered ne-er do-wells and healed beggars. This is a decisive moment in Mark’s gospel. The King has come with healing in his hands, and the rabble has received him but the rulers have not. When he entered the temple, every religious leader in Jerusalem should have wept for joy, crowded around, begged him to come to dinner, to take the place of honor and authority, to lead the coming Passover celebration. They have not received him, but he is Lord. He will not cower before their glowering refusal to receive him and drift off into obscurity. He will stand and speak thunderous condemnation and finish his course, drink the cup, undergo the baptism. Look at how craven and pitiful the opposition to Jesus is. They do not believe John or Jesus was from God, but they are afraid to say so. Why don’t they believe? Their unbelief has more to do with their sinful, immoral, rebellious hearts than it has to do with any lack of evidence. Jesus has demonstrated his faithfulness and power, and he has been authenticated by mighty works. They should believe but they do not because they are rebels. The humble king who has been revealed in all his power and authority and ability and worth has come, only to be rejected. But their rejection does not mean he is not king, nor does it mean that they have the ability to resist him or to keep from him what belongs to him. So he curses the temple and symbolically shows what this means with the fig tree. He tells his disciples that the temple mount will cease to play the role it has played in God’s plan, that their prayers for his kingdom to come will be answered, and that they now have authority to forgive sins. In controversy, he shows the moral cowardice and despicable rebellion of his pitiful opponents, implicitly declaring that his authority is from heaven while revealing their scheming, pathetic mutiny against the world’s true captain. I think the whole of Mark 11 is to be read and interpreted together, as I seek to explain here.